Spring Term Who's the Mummy? New wake and shake routine Spring 2. We hope that you all had an enjoyable Christmas break and we wish you all a Happy New Year! Keep checking our class page to find out what we are getting up to... our new topic is the Ancient Egyptians - we can't wait! We have been using Building Learning Powers and the 5Bs (Brain, Board, Book, Buddy, Boss) successfully in C5 for sometime. 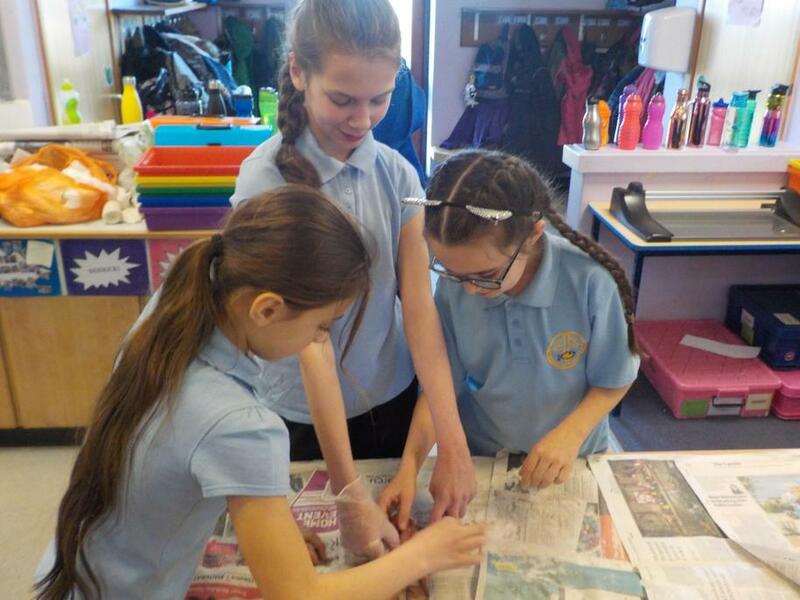 This half-term, we have started to develop our learning in other ways. Learning Coaches: each of us now has the opportunity to be a learning coach. 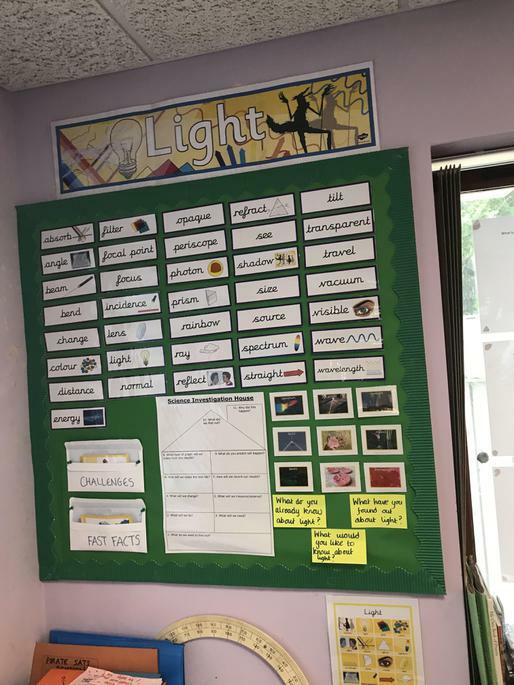 This can be in any lesson and at any time! The idea is that we coach our peers to help them get unstuck or learn new things. Sometimes, we even coach Mrs Dart and Mrs Paton! 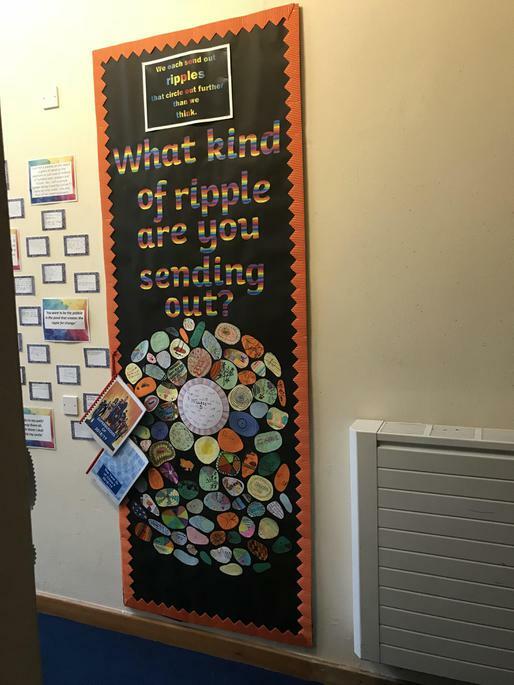 Check out our 'wall of questions' outside C5 to find out more. What a half-term we have had! 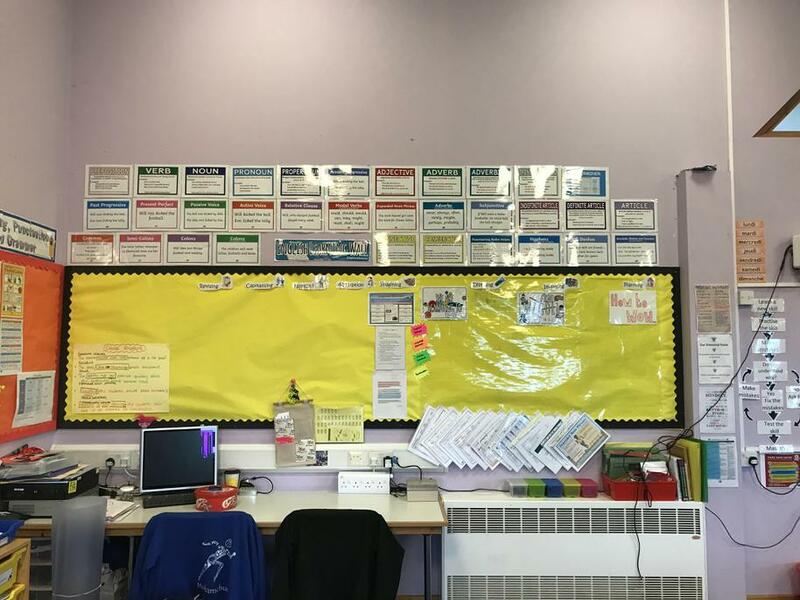 We have continued to use our Building Learning Powers this half-term and have started to use 'Learning Coaches' and pupil led learning (see our other post to find out more about this). Towards the end of the term, a giant elf came to visit, the whole school went to watch 'Peter Pan' the pantomime and we visited Santa's grotto with our buddies. 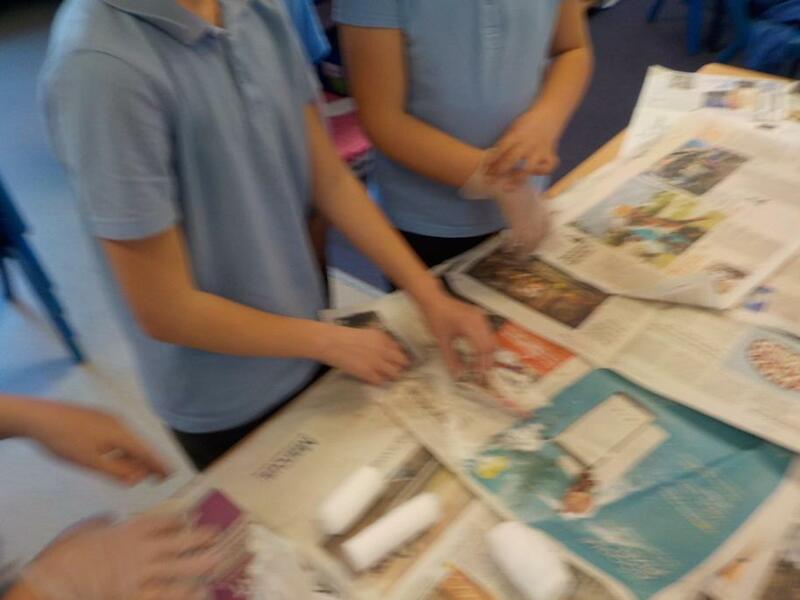 - Shaun Tan's book 'The Arrival' - we loved unpicking each and every page in order to inspire our writing. We wrote setting descriptions, diary entries, flashback stories and information texts. - Tom Fletcher's book 'The Christmasaurus' - we were inspired to write our own versions of the story, which included setting description, character description, dialogue and action. - Unpicking four of the most popular Christmas adverts of 2018. Carrie made improvements to a setting description! 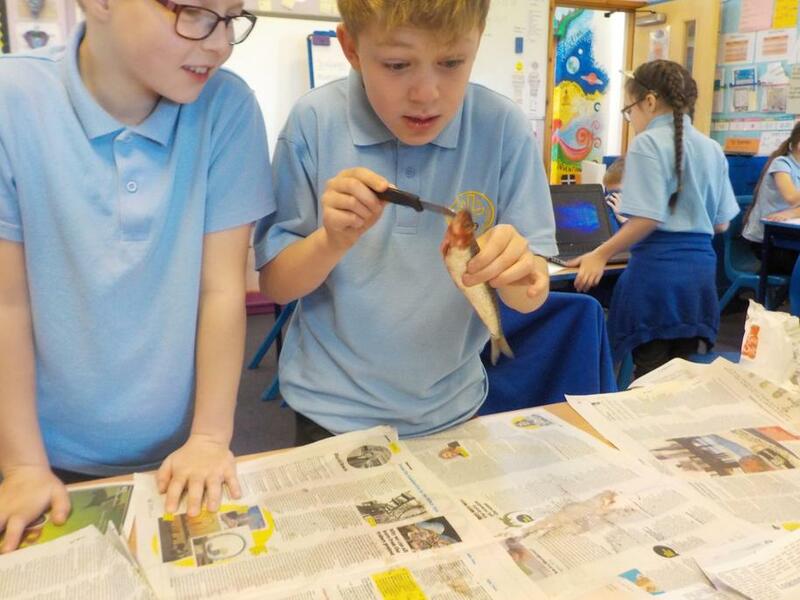 We have had a brilliant first half-term in Class 5. We have been working really hard in all of our subjects and have been applying a lot of our Building Learning Powers! 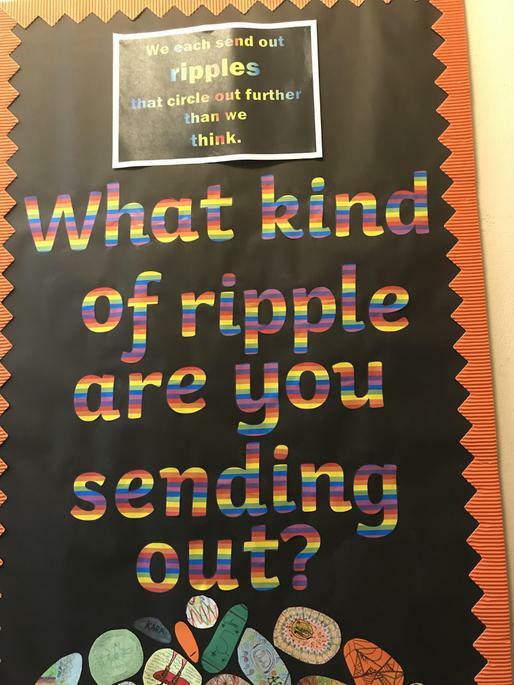 It's time to begin another school year. 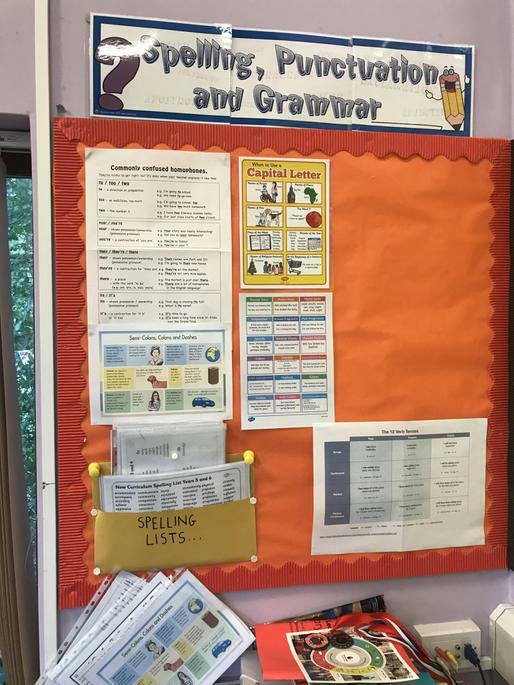 This year, we welcome Y5 and Y6 to Class 5. During our transition morning, the Y6 children prepared for being 'Super Buddies' to the new Reception intake and Y5 got to know the Class 5 staff. 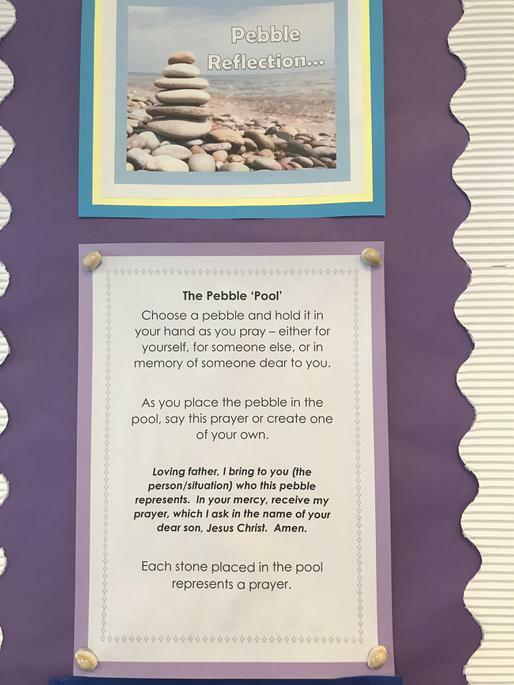 Each child also created a pebble to go on our transition display, as well as writing down their aspirations for the future (this display can be seen in the slide show below and in the corridor outside of Class 5). 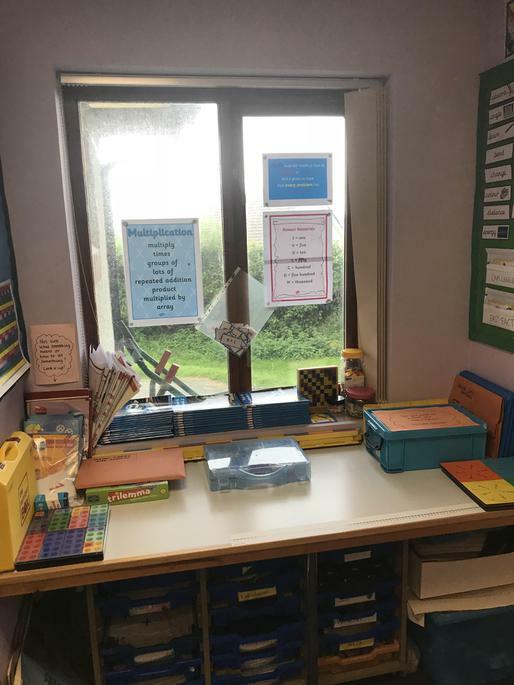 The classroom is set up ready for the new year to begin. 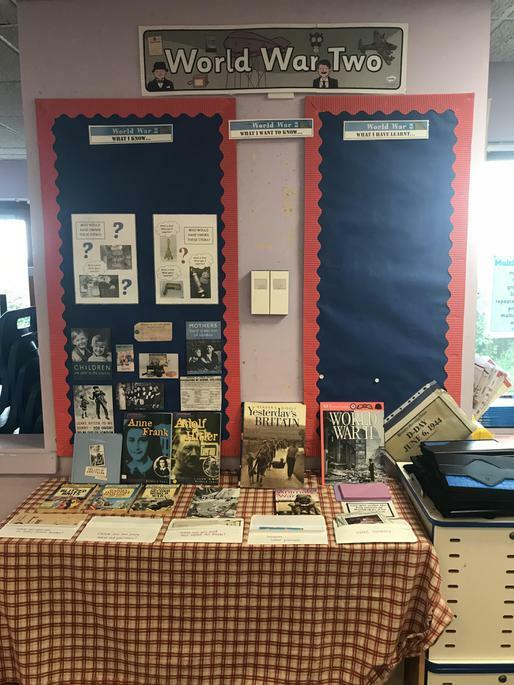 Our first topic will be World War II and over the summer holidays, the children have been busy researching a WW2 aspect of their choice. We look forward to finding out all about them. 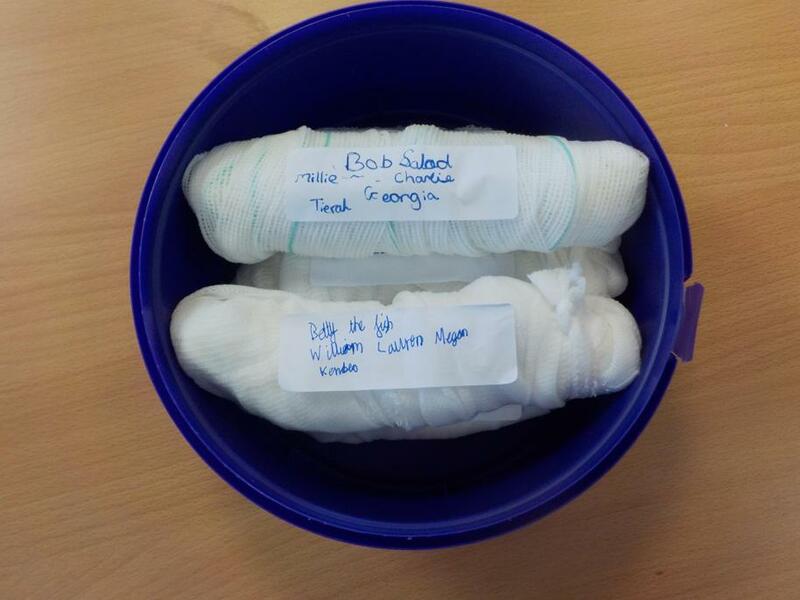 Spring Term Topic Web: Who's the Mummy? Summer Term Topic Web: What's Happening Now? After one and a half hours on the coach, we had finally arrived in Truro. Ten minutes of walking through the huge city had eventually got us to the magnificent Truro Cathedral! We were so excited! Stepping into the arched Cathedral doors - that looked like castle doors – we met our tour guide. Kirsten showed us the way - down to the room where we put our bags. We saw some cassocks and choir outfits – which were really cool. First, we looked up at the ceiling, whilst lying on the floor to see if we could see any shapes [a shape that was supposed to be huge]. We were all guessing shapes, then we all noticed it was a cross on the ceiling. The shape’s name was a Crucifix. Around ten minutes later, we went to have a look at the picture of the ‘Diocese of Truro’. A diocese is a group of churches all looked after by a Cathedral and its Bishop, our guide told us. The painting, which was a good one, was a group of areas around Truro. Truro Cathedral had a light shining on it from Heaven, as if the Cathedral was a mother of all the churches. Our Bishop at the moment is Bishop Chris, standing in from St. Germans. Afterwards we did a mini quiz which contained just three questions. Most of us got all of these questions right! Shortly afterwards, we did some dressing up as important people from the past and it was extremely fun! We also did a role-play and we walked around the hall, while Mrs Dart was carrying a wooden cross. We sung ‘Our God Is A Great Big God’ to the people in the Cathedral. A few moments after this, we did a prayer. Then, we had a look at what not many people can look at, Bishop Benson’s death mask. Made out of plaster, the mask was VERY delicate. A little while later, we did a sticker hunt, where we had to match the sticker with the place and its information. After this, we went to the park to eat. There, we named two seagulls, Boris and Simon! We had sausage rolls, brownies and lots of other yummy stuff to eat! Then, it was finally time to go back to school and go home. Another one and a half hours on the coach! After a one and a half hour coach trip, we arrived at Truro, we walked through the city and we came to Truro Cathedral. It was extremely high, when we went in we met Kirsten (our tour guide). The first thing Kirsten told us to do, was to look up at the ceiling to see if we could see any massive shapes, all we saw was a square and circle . When she told us to look at the ceiling, it was in the layout of a crucifix; a cruciform layout, which shows it’s a Christian place of worship. We all went down stairs to drop our bags off, then she showed us a painting of the Diocese of Cornwall and told us it was made in 1876. After that, in pairs we answered 3 questions from a text. 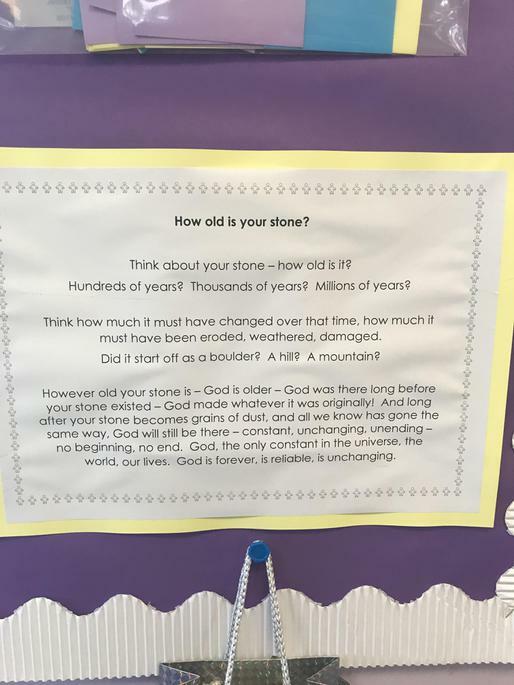 Once we did that, we looked at a stained glass window, which had John Wesley, his brother and his friend, they were all preaching and that was when the Methodist church began. We then went into the Chapel of Life and Peace, we learnt more about Bishop Temple and his backstory. Next, we went into St Mary’s aisle (which is 761 years old) and Jago got dressed up as John Loughborough Pearson. Then Kirsten took us to the crypt were we saw the Bishops cloak cupboard, she then showed us the crook (crosier) which had real gold and rubies on it. 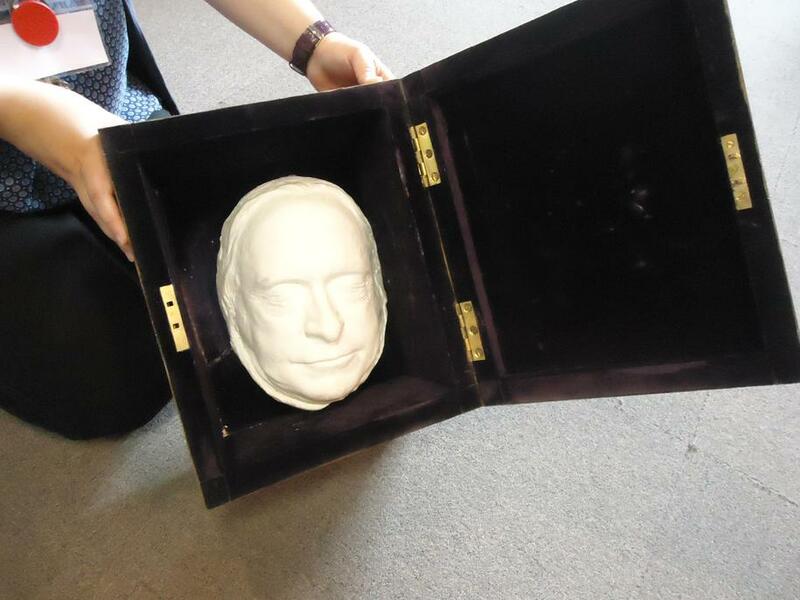 Next, Kirsten showed us Bishop Bensons death mask which was made out of plaster. After we saw the death mask, we dressed up as different roles, then we went upstairs and did a procession for the visitors. Then we walked to Victoria gardens (for a picnic) once we finished, we walked to the bus and we arrived back at school at ten past three. We all had an amazing time and learnt more about Truro. At 8:15 last Tuesday, we all arrived at school promptly to get on the coach at 8:30. When the coach arrived, we all sat down, clipped ourselves in and off we went! On our trip there, we all sang “The Wheels on the Bus” and before we knew it we were there, arriving at Truro Cathedral. When we arrived at Truro, we had to walk across the road and through the city centre to get to the Truro Cathedral. 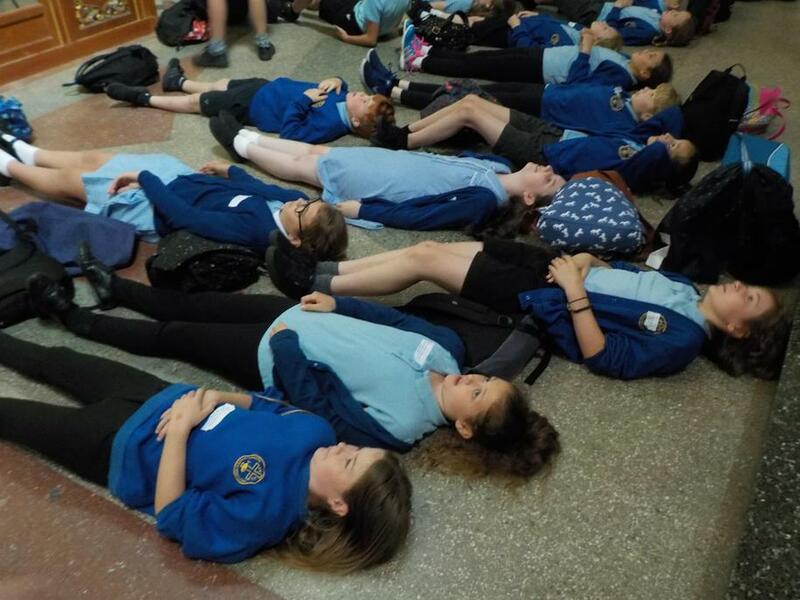 When we arrived at Truro Cathedral, Kirsten showed us the way in and told us to lay down on the floor. 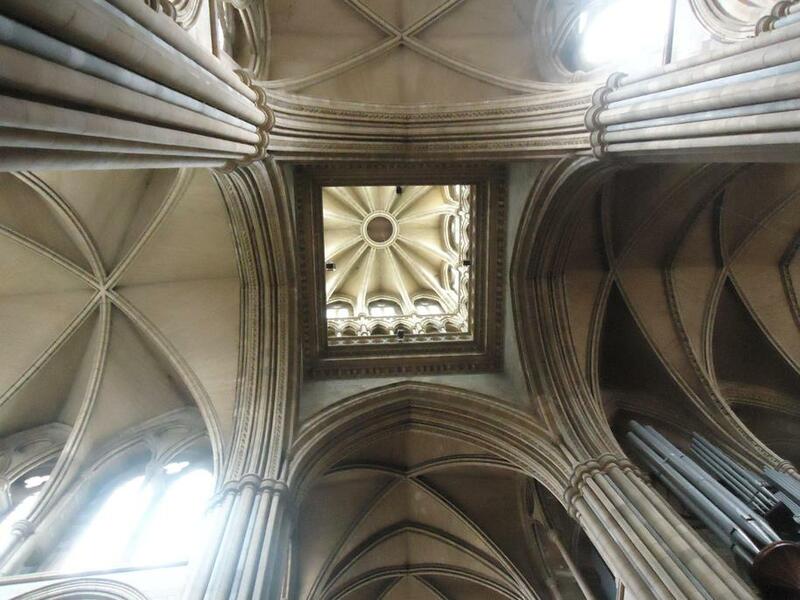 When we did it, we saw that the roof of the cathedral was in the shape of a cross, it represents that the Truro Cathedral is a Christian place of worship (although it welcomes anybody who wants to see the inside of the cathedral). While we were looking around, Kirsten took us down stairs to put our bags away. After that, she talked to us about how Bishop Temple had to be the Bishop of Isles of Scilly, Cornwall and Devon. After a few years, it got too much for Bishop Temple, so Queen Victoria decided to make a diocese. Kirsten showed us a painting with all the churches marked as tiny crosses, and in Truro there was a cathedral shaped one. If you looked above, there were people shaped figures that represented the previous priests of Cornwall in the clouds. 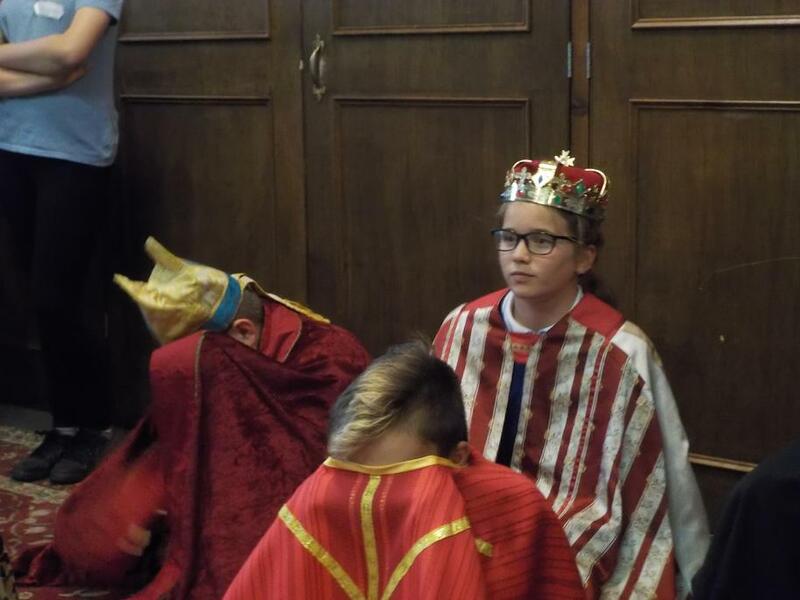 Then, we walked to a different part of the cathedral and we dressed up as different things like Bishops, people in the choir and canons. Also, there were people like Pearson, who won a competition to design it, and the builders. While we were there she showed us a box and it had a moulded face of Bishop Benson and it looked really real. Finally, we got our bags and got ready to go. When we left the cathedral we went to a park called Victoria Park to have a picnic. 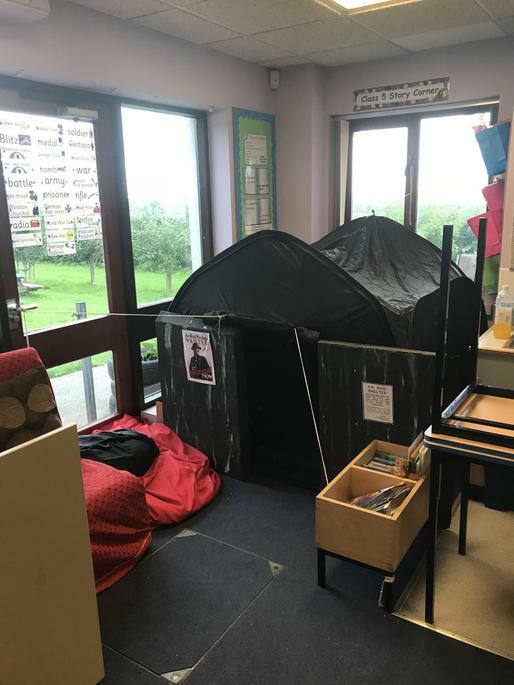 We all sat on a picnic blanket or our waterproofs, we got a choice with our food, we had: sausage rolls, cheese and pepperoni pizza, cheese and ham sandwiches cakes and a lot of grapes, carrots, tomatoes and cucumber. After one and a half hours on the bus, we reached Truro Cathedral and met up with our tour guide [Kirsten]. She told us to take our bags off and put them on the floor. Kirsten asked us to lie on the floor and look up at the ceiling, and we saw a humungous cross to show us a place of worship. 1 minute later, she told us about her job and what she does in the Cathedral. After that, we walked down the stairs into the choir room and put our bags down. 10 minutes later, we went back upstairs to see the painting of the Diocese. After, Matilda dressed up as a Bishop Temple. Kirsten led us to the Chapel of Life and Peace, where there were loads of colourful windows (which represented Bishops and priests). There was a picture of John Wesley with his brother and friend kneeling down. After that, we saw Sean dress up as john Wesley we had to pick a side, either Sean or Matilda. Sean was the Methodist leader and Matilda was the Cathedral leader. Kristen led us to St Mary’s Aisle where Izzy dressed up as Queen Victoria, to say yes to the Cathedral. We all went down stairs, and got changed into something from the Cathedral. And Jackson was a Bishop and he held a crook that was made out of real gold and rubies. Then, we did a ceremony and we sang a song. After that, we went down and got changed. Shortly after, we did a sticker activity. We went down stairs and got our bags then we went to the park and had a nice long picnic. We walked to the bus and had lots of fun and went home. By Mia, Izzy, Konner, Sean. On the 19th of June we went to Truro Cathedral .First we got to school really early because are bus was leaving at 9:00.finally, when the bus came, we got on and we were sleeping, singing, chatting and eating the whole way there. When we got there, it took 5 minutes to get to the cathedral [we walked past Gucci while we were on the way there] we then got there and met a lady. After that, we saw the digest shape which was a cross. 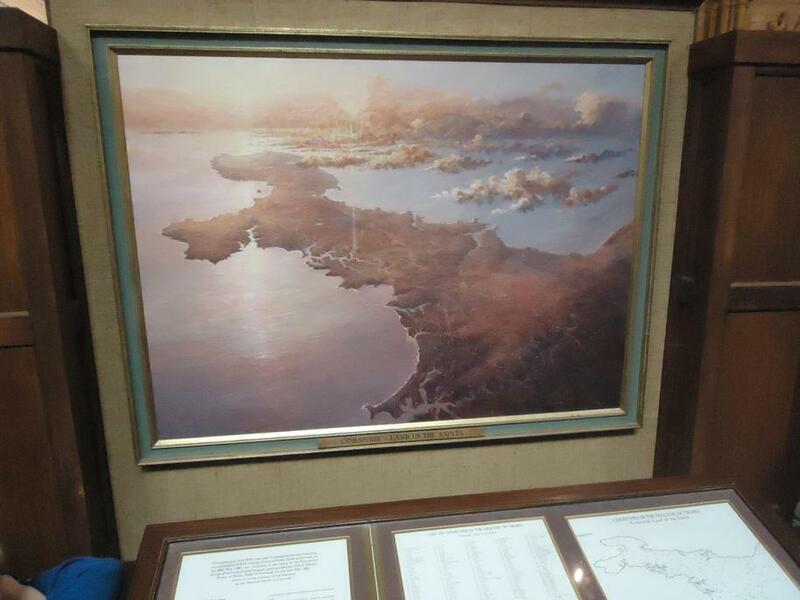 Then the lady (Kirston) showed us the diocese ,which is a painting of Cornwall and its churches . Next we went down to the cript of the cathedral to explore around and to place our bags down, I found it quite spooky. Then, we found a place to put our bags away then we went back upstairs to look at the stain glass windows to see what is on them. 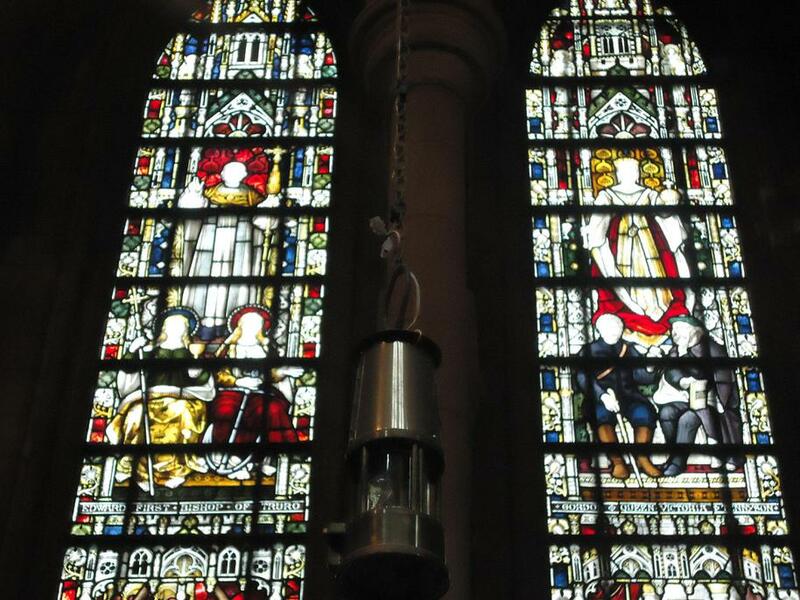 Later on ,we went to the stained glass windows ; on the first one there was a window with John Wesley .He was the Methodist leader.There was also Bishop Temple, the queen and a lion in some of the other stain glass windows. We went in St Mary's church and we got dressed up . 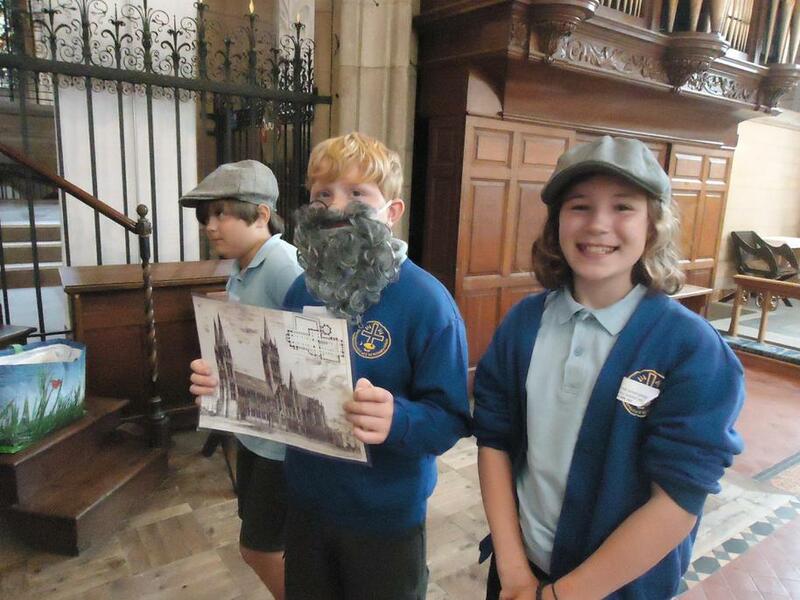 Some of us got to dress up as special people in the cathedral like the Bishop, priest and the builders. Bishops wear a mitre,a cope ,an alb and a chasubule . After that, we went to the choir stalls and we sung our god is a Great big God. And some of the people that were watching us and listening to us singing.We then got given a sticker book of all the main and important things in the cathedral we were also told that there were over 2700 pipes in the organ. A while later, we had some lunch then we walked to the bus and we all had an amazing time! 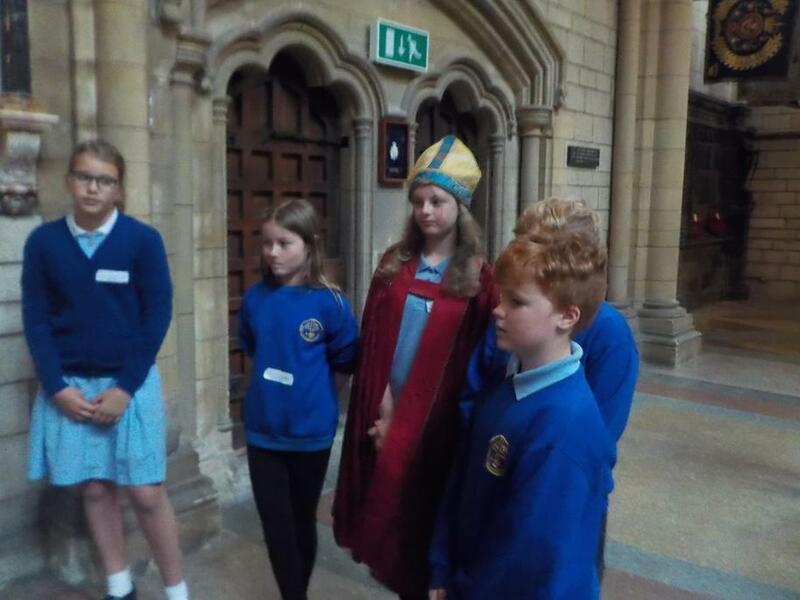 On Tuesday the 19th of June 2018, Y6 went on a school trip to Truro Cathedral. After an hour and a half of sitting on a coach and singing ‘Wheels On The Bus’, we finally arrived! When we got off the coach, we all started walking to the cathedral. As we were walking, Jackson and Jacob spotted the store ‘Gucci’. All of a sudden, they both shouted “GUCCI!”; we all began to sing a song. When we walked into the cathedral, a lady (who was called Kirsten) welcomed us. She said she was our tour guide for the day. First of all, she told us that we had just stepped into one of the youngest cathedrals in the country. After that, she asked us to lie down and look up to the ceiling to see what the massive shape on the roof was. Will was the first person to say that it was a cross! Next, we went downstairs (to the crypt) to leave our bags. Eventually, we were ready to start. We walked to the painting of the diocese to look at all the churches and the cathedrals. The only cathedral in the painting was Truro Cathedral! So we would understand the cathedral’s history better, a few people got picked to dress up and act the story line. We went to the Chapel of Life and Peace and we learnt about Queen Victoria. Jackson dressed up as Bishop Benson. After that, we went to St Marys Isle and learnt about its history. As well as that, we learnt about John Loughborough Pearson and St George. After that , we learnt about how they built the Cathedral and the ancient parts. We got told it took 30 years to build. We went down stairs and we learnt about the death mask then we learnt about the choir and then we all dressed up in costumes had a procession. As we walked around the Truro Cathedral, Kerstin put some organ music on. We had to put our hands together and walked in pairs. Everyone in the cathedral was waiting and watching us and taking photos. A singer waited patiently for us. 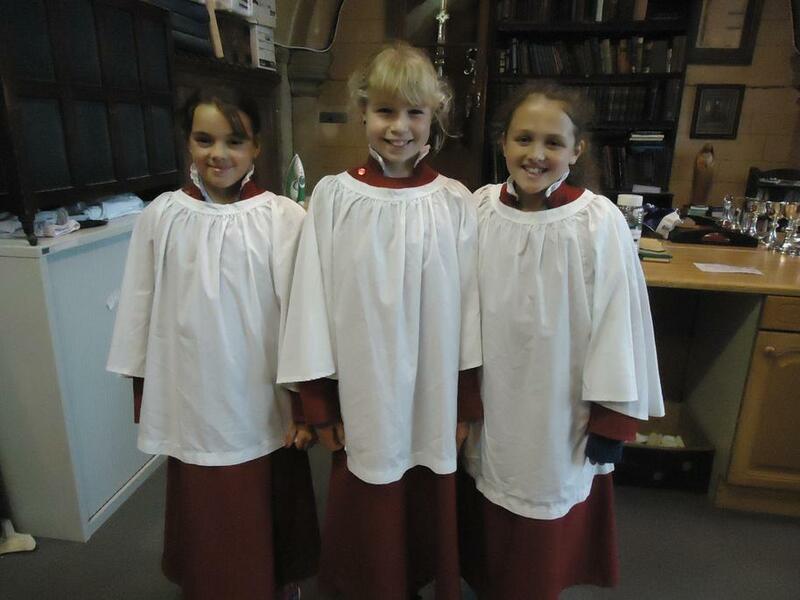 We all marched to the choir stalls in our costumes to sing ‘Our God is a Great Big God’. Everyone in the cathedral gathered near us to listen to us sing. We got given books with stickers. 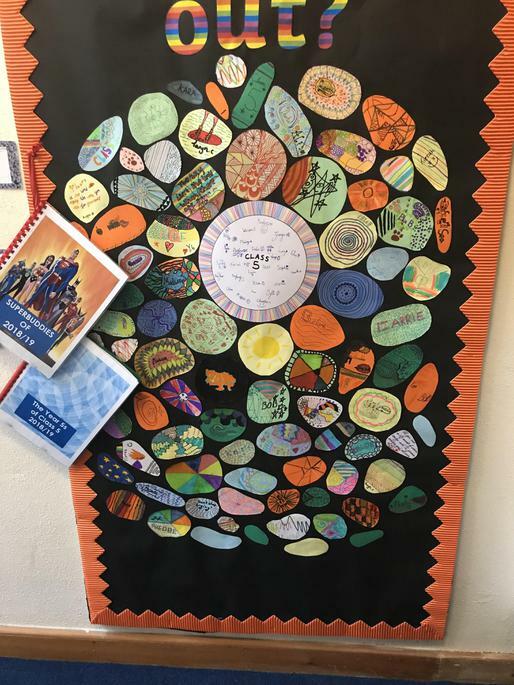 Each half term, one children from each class is selected to have a piece of their 'wow' work displayed on the 'Wall of Fame' at the front entrance. In the second part of the spring term, Phoebe was selected. Her story was also sent to the local and national 500 word story competition. This term another child has been selected... photos to follow. The children have returned after the Easter break ready to start preparing for their up and coming SATs. The summer term is always jam packed with sporting activities, transition and end of year celebrations! It will be a busy and exciting time. Keep checking back for updates. 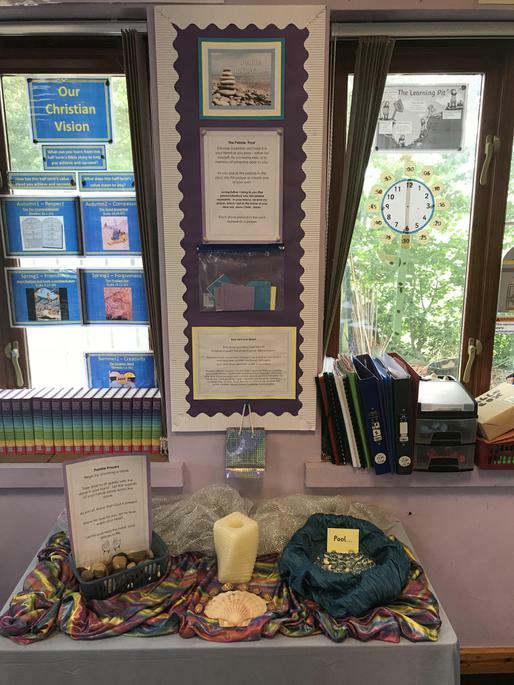 Class 5 have been exploring the history of Christianity in Cornwall and why it can be seen as a spiritual place. 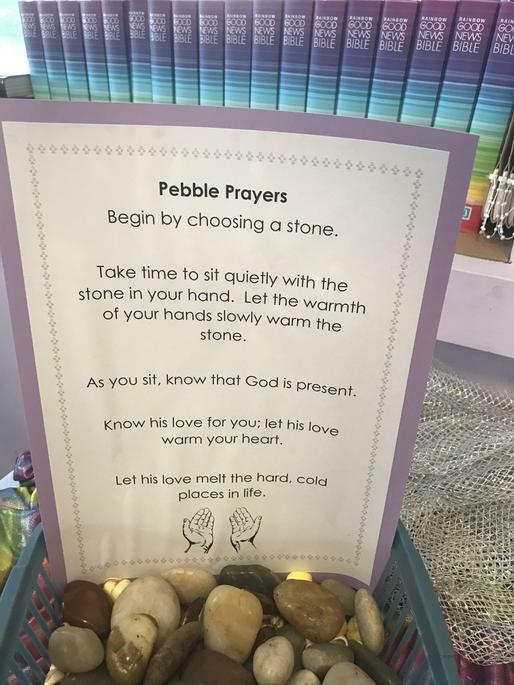 The children said they felt calmer outside and were able to clear their minds more easily. Did you know that 'Lan' means a place of sacred enclosure such as a church or monastery? Did you know that 'Eglos' means church? Y6 spent part of their afternoon taking part in the BBC Live Launch Lesson for the 2018 500 word story competition. 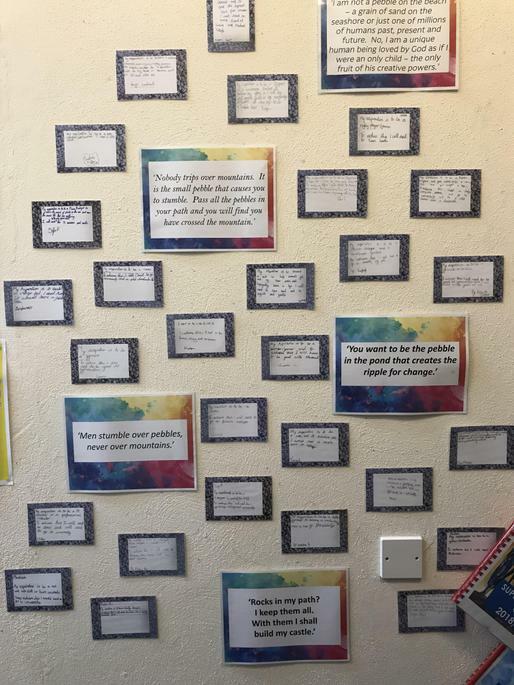 During their English lessons over the new few weeks they will be planning, writing, editing and redrafting their very own stories... all on their own! Once the stories have been written they will be judged by the teachers and 2 will be sent to the local cluster competition and the BBC 500 word story competition. 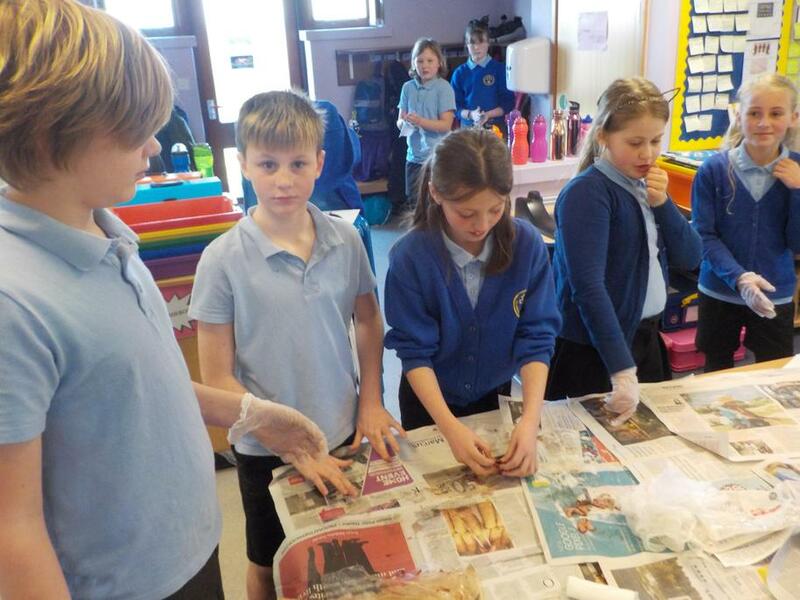 Class 5's topic for the Spring Term will be based on the Ancient Egyptians. 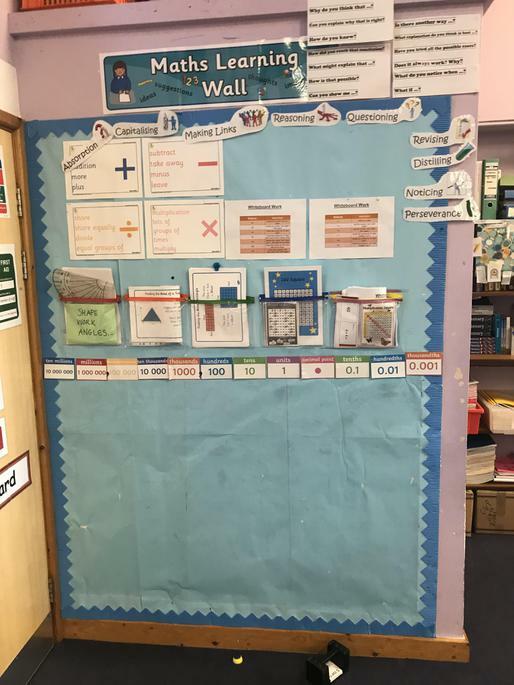 Mrs Dart has lots of exciting activities in store... watch this space for updates about what the children have been up to! Class 5 worked together to make a wreath for Marhamchurch war memorial. They used plastic bottle bases and an old green coat as the base materials. First they coloured the bottle bases in with permanent markers so they were red with a black centre. Next, they held the plastic bases above a tealight candle. This made the plastic shrink and curve so that they looked like a flower with petals. Each child made a poppy which was then attached to a wooden base with split pins. Green leaves made from an old waterproof coat were then added. Finally they tied a ribbon around it, with the words 'We will remember'. Two of the children took this to the Remembrance Service on Sunday 12th November. On the 2nd of October, Class 5 went on a school trip to Davidstow War Museum! When we first arrived, the tour guide (called Steven) came on to the bus saying "RIGHT YOU 'ORRIBLE LOT! WHO'S READY TO HAVE SOME FUN?" After we got off the bus, we went into the War's 'Cinema'. While we were in there, he taught us about the background of WWII so we could understand it more. He also told us about soldiers called Gurkhas. 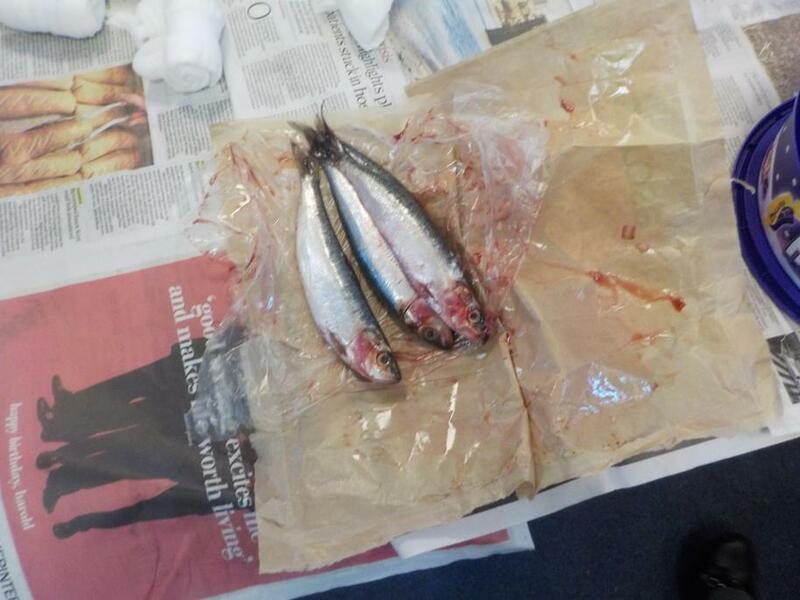 He told us that they weren't allowed to put their dagger away until it had drawn blood. Because there were thousands of them, each one couldn't kill a person everyday, so they couldn't put their dagger away, so they would cut their thumb (it had now drawn blood, so they could put it away).